There are universities throughout the world where cartography and GIS courses are given, most of them are introductory courses just set up to give a basic idea how to deal with geospatial information and visualize it with the help of some software modules. A limited number of Universities and advanced technical colleges offer a border specialization in cartography and GIS, usually on top of a basic program in geography, geodesy or environmental science etc. (Ormeling 2008). 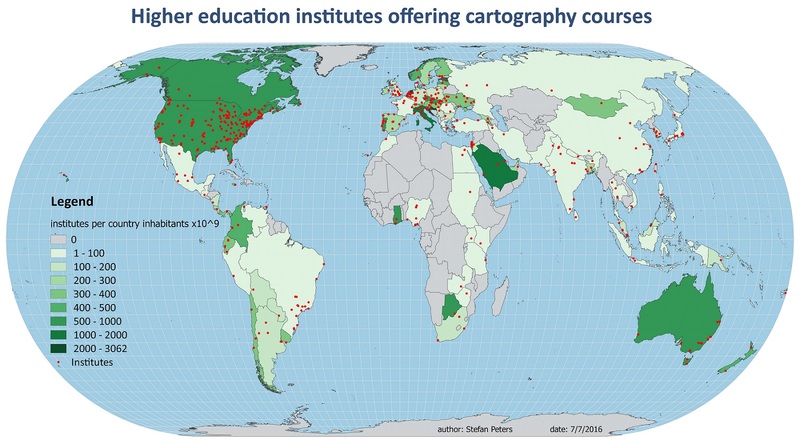 The map below provides a basic overview of worldwide location of higher education institutes offering cartographic courses.